Q: What’s Killing JC Penney: Bad Management, E-Commerce or Bad Branding? Following-up on our article last week, we continue to examine implications of the troubles at JC Penney, which is in the news again this week for altering its poison pill plan to better defend itself against an activist investor takeover. The retailer has been on the ropes for some time now, a situation that was exacerbated by former CEO Ron Johnson’s failure to remake JC Penney by creating a series of boutiques within the larger store. Current CEO Mike Ullman, who also preceded Johnson in that position, is credited with stemming the chain’s losses, if not generating profits at this point. Nevertheless, analysts say that Penney’s average sales per square foot from all stores are too low to make the company profitable. Store closings and layoffs at the chain will save about $65 million and will affect customers and employees in smaller cities and towns in 20 states. This is likely to present serious difficulties for those who become unemployed in a slow economy that has yet to pick up in many of the country’s rural and suburban areas. Customers too may suffer, as many of the stores targeted for closing are among the few retail options available. Then there’s the real estate issue. JC Penney is an anchor store in malls throughout the American heartland. Once those stores go, it will be difficult if not impossible to replace them. Hundreds of aging shopping centers are already in decline. For some, Penney’s departure will be the blow that sends them into bankruptcy. At particular risk will be those malls that also face closings of other retailers, such as The Gap and Abercrombie & Fitch. These negative effects are likely to cause JC Penny’s already shaky image to decline even further. E-commerce is often cited as eroding business at traditional brick-and-mortar stores like Penney. However, the company does operate its own website, so loyalists will still have online access to Penney’s merchandise. In fact, Penney’s customers who prefer to buy online could have easily been doing so for years, which casts doubt on the idea that e-commerce is responsible for the difficulties at Penney — or any other old school retailer. The term “old school” begins to get to the bottom of things. 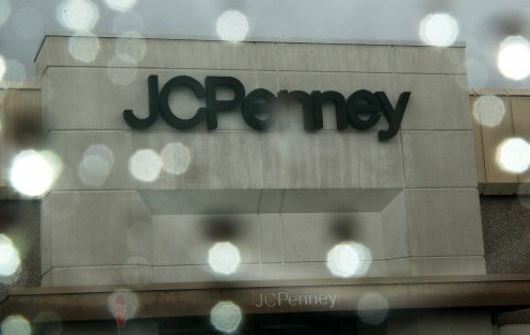 Although Johnson was not able to revitalize Penney, he may have grasped its underlying problem: lack of store traffic. Before customers can make purchases, you must get them in the door, and that begins with branding. If you were asked to describe Penney, what would you say? (We pause here for a moment of silence.) Exactly. For most of us, nothing distinctive leaps to mind. If pressed, we might come up with “good value,” or “reliable,” or even “like Sears.” Some Baby Boomers may recall buying a prom dress at Penney or working there part-time during high school. You see, JC Penney isn’t a bad store. It’s just not on the radar screens of today’s GenX and Millennial shoppers. Now think about, say, Macy’s. Founded in 1858, Macy’s is even older than Penney, but we don’t think of Macy’s as “old school.” It sells vacuum cleaners, hand mixers and steam irons, yet few people would say Macy’s is “like Sears.” Although Macy’s also announced store closings a few weeks ago, it said there would be an equivalent number of new store openings. In 2012, Macy’s sales per square foot were $184 while Penney’s were $116. At the beginning of today (January 30) a share of Macy’s sold for $54.00, a share of Penney’s for $6.33. So What’s the Matter With JC Penney? Bad management? Probably. Online competition? Maybe. Bad branding? Definitely. Even Emmy-winning talk show host Ellen DeGeneres wasn’t able to attract new customer groups to Penney for the long term. When Ron Johnson brought her on as spokesperson, some conservative groups protested. In response, thousands of gays and lesbians vowed to shop at Penney to show support. Social media came alive with questions about Penney, showing just how poorly many people perceived the retailer. Can the Penney’s Brand be Saved? Unlikely. Brand perceptions are built up over time. It takes many years to change an image, and it seldom works if those changes are dramatic and abrupt. Smart retailers may stick to a successful positioning strategy for years, but they adapt the way they present themselves as their customers and the culture change. Penney’s boxed itself into a corner because it remained relatively the same year after year. 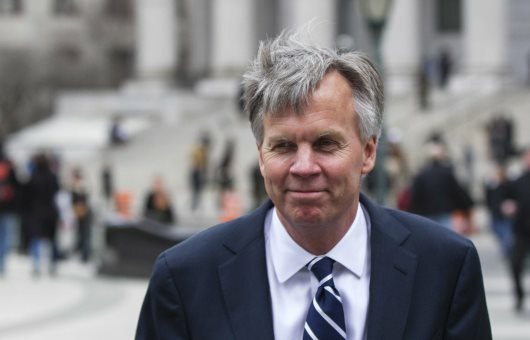 When Ron Johnson came along with his changes, loyal customers were repelled while the customers Johnson hoped to attract didn’t have time to become aware of the new Penney. Meanwhile, CEO Ullman and Penney’s new board — chaired by Arthur Martinez, former Sears CEO (yes, really) — soldier on. Store Closings at JC Penney: An Isolated Case or a Troubling Trend? In mid-January, JC Penney announced that, in a bid to stem losses, it will close 33 of its stores and cut 2,000 jobs, resulting in about $65 million in savings per year. The announcement came just a few months after former CEO Mike Ullman returned to the retailer in an attempt to patch things up following a disastrous, failed makeover by CEO Ron Johnson, who was ousted in April 2013. Johnson had attempted to transform Penney’s by remodeling its stores into a collection of boutiques. Not only did this strategy fail to charm customers, it resulted in a lawsuit filed against Penney’s and its would-be partner Martha Stewart Living Omnimedia (MSO) by Macy’s Inc.
Macy’s contended that the Penney’s deal infringed on its exclusive rights to sell Martha Stewart merchandise. In October of last year, Penney’s, now under the leadership of Ullman, scaled back its relationship with Martha Stewart. It agreed to sell 11 million shares of MSO, which it purchased in 2011 for $38.5 million, and to give up its two seats on the MSO board. While this move apparently placated Macy’s to some extent, it is still suing for damages. Meanwhile, Ullman has recruited Stephen Sadove, chief executive of Saks, to the JC Penney board and is restoring some of the features that Johnson cut, such as Penney’s popular private-label brands. In November, Penney’s reported its first monthly gains in same-store sales in two years and says it sees rising demand for men’s apparel, women’s accessories and home products. However, as of January 15 of this year, Penney’s had not provided sales data for December 2013, which leaves some analysts wondering if the gains are sustainable. 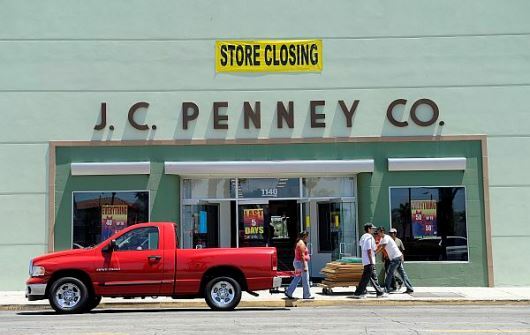 Paul Swinand, an analyst with Morningstar, told Bloomberg News that the closings indicate all is not well, although “it’s also not a massive restructuring.” In fact, the closings represent just 3% of Penney’s stores and 2% of its total workforce. Contrast this with other retail store closings in 2013, such as The Gap, which closed 21% of its U.S. stores (189 out of 889) and Abercrombie & Fitch, which is in the process of closing 18% of its U.S. stores (180 out of 1,014). There were a number of other retail store closings in 2013, including The Jones Group (closing 170 stores out of 594, or 29%), Blockbuster and Fashion Bug — both of which went out of business — and Barnes & Noble (closing 189 stores over the next 10 years, or 14%). Macy’s announced that it would close five stores, but also open five new ones. In Macy’s case, the closings appear to be a move to generate efficiencies by consolidating some functions and territories. Are Store Closings a Trend? Over the past several years, many retailers have struggled with restrained consumer spending, a situation that continued throughout 2013. L Brands Inc. and Family Dollar stores, for instance, cut profit forecasts after a disappointing December, although U. S. retail sales did rise 2.7% overall in November and December. This rise in sales, combined with a closer look at the reasons underlying certain retail closures, seem to indicate that there is not an overall negative trend in the retail industry. Rather, mature brands and retail stores like Penney’s — some of which have been in trouble for years — are adjusting to a changed operating environment where there are new competitors, including brick-and-mortar stores such as Uniqlo and Joe Fresh, seasonal and temporary pop-up stores, and online membership stores, like One King’s Lane and Rue La La. Changes in technology also play a major role. It’s no secret that brick-and-mortar bookstores and video rental chains have been under pressure for years from online competitors, e-readers and new devices that stream digital music and video. Consider too that the Millennial generation has come of age and now constitutes a large proportion of shoppers. These young adults are digital natives whose preferences and habits were shaped by a world that is very different from any generation that preceded them. They are a new breed of customer and the ways they browse, buy and consume require retailers to change some of the ways they’ve traditionally done business. This is natural and we are seeing it evolve before our eyes. What was Ron Johnson thinking? Given his impressive resume, many thought that “the wizard from Apple” was the perfect man to turn around 110-year-old retailer JC Penny and take the store into the 21st Century. Prior to assuming the CEO role at JC Penny, Johnson had certainly enjoyed his share of success. He presided over the highly successful Design Initiative at Target, featuring a reasonably priced home collection from well-known architect Michael Graves. Johnson’s success at Target led to an even more high profile position at Apple, where he oversaw a network of over 300 retail stores and pioneered innovations like the Apple Genius Bar, where customers could go to get hands-on technical support. When Johnson became CEO of JC Penny in November of 2011, he began a bold initiative to apply his trademark retail magic to the faltering retail giant. Unfortunately, Ron Johnson made a fatal mistake. He didn’t understand the JC Penny customer. The 50-something female customers who regularly came to JC Penny to shop for sales and use their coupons were a far cry from the 25 to 34 year olds who flocked to Apple stores to buy electronic gear with some of the highest profit margins in the industry. In an effort to reinvent JC Penny and attract this young, hip audience to the venerable mid-line department store, Johnson ended up disenfranchising his existing customer base in the process. He discontinued the long-standing J.C. Penney’s practice of holding frequent sales, which was the main reason his core audience shopped there in the first place. He tried to replace the retailer’s frequent promotional campaigns with a new “everyday low-price” strategy designed to simplify store operations. All this might have worked if Johnson had been able to attract the younger audience that eagerly bought Michael Graves housewares at Target and iPhones at the Apple stores. These new customers never came, while loyal existing JC Penny customers continued to abandon the store in favor of other alternatives. 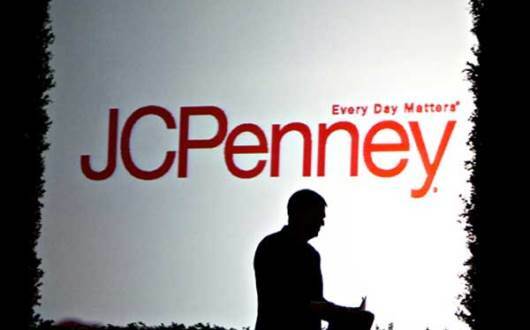 Department store powerhouse JC Penney has had a rough year. During the last 12 months, the retailer has experienced a 25% decline in sales as the store’s traditionally price-conscious customers uniformly rejected the transformational strategies of new CEO Ron Johnson. Since his appointment as CEO in November of 2011, Johnson has delivered one disastrous quarter after another. To modernize the stores, Johnson launched a massive transformation effort that did away with most of JC Penney’s coupons and discounts. He also opened a series of “shops within a store,” creating as many as 100 different boutiques at most Penney stores. Customers and investors were not impressed. JC Penney shares dropped as much as 22% in a single day after the retailer announced a 31.7% decline in comparable sales during the important 2012 Winter holiday quarter. In an effort to lure back customers and boost share prices, JC Penney has already rescinded some of its transformational initiatives. Coupons are back, and JC Penney has now acknowledged that it may have to rethink its transformational “store within a store” boutique concept. Efforts to bring back the “old” JC Penney may not be enough to stem the slide in sales however. In the current annual report for the fiscal year that ended February 2, JC Penney stated “It may take longer than expected or planned to recover from our negative sales trends and operating results, and actual results may be materially less than planned.” This is not good news for Ron Johnson. 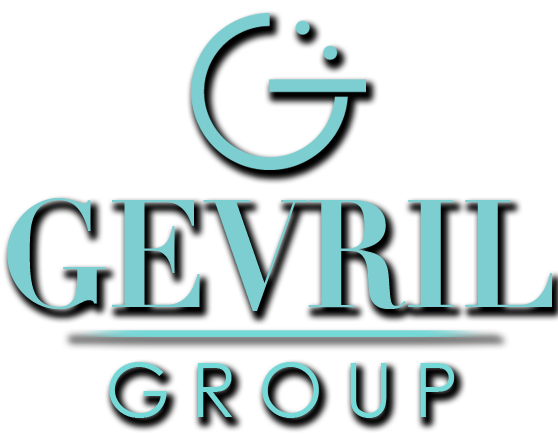 “There is no assurance that our pricing, branding, store layout, marketing, and merchandising strategies, or any future adjustments to our strategies, will improve our operating results,” the company warned in the March 21 10-K report filed with the Securities and Exchange Commission. Can JC Penney survive in the retail business? To reduce costs, The Company has already acknowledged cutting 20,000 jobs. According to the New York Post, actual job losses may be much higher, with as many as 43,000 workers losing their job over the last year. As JC Penney struggles to survive, there is one bit of good news. Bondholders have withdrawn a notice of default that would have forced JC Penney to repay the $326 million it owed, unless it immediately took steps to fix alleged violations in the credit agreement that provides security for bondholders. Although Ron Johnson has acknowledged making mistakes, his efforts to correct them may not be enough. Customers are losing their patience, and abandoning transformation plans that have already begun will ensure significant additional costs. Only time will tell if JC Penney will survive at this point.